Game of Thrones is all about the long game. Supporting characters later emerge as major players, schemes are conjured long before they come to fruition, while plots intersect and unravel over the course of many seasons. The show has had quite a few things up its sleeve, but the one it has withheld the longest is the very thing fans have been pleading for more of: dragons. The dragons were introduced at the end of season one, and, in “The Spoils of War,” we finally bore witness to their wrath. If you introduce a gun in act one, you’d better damn well fire it. It was a long time coming, but the payoff was tremendously satisfying. We have seen Dany’s dragons in action before, but not on this scale, and certainly not with this much dramatic weight. It’s interesting charting the growth of the dragons from the very beginning because we were practically starved for a sequence like this, and the show truly did spoil us with this epic realization of dragon-based warfare. 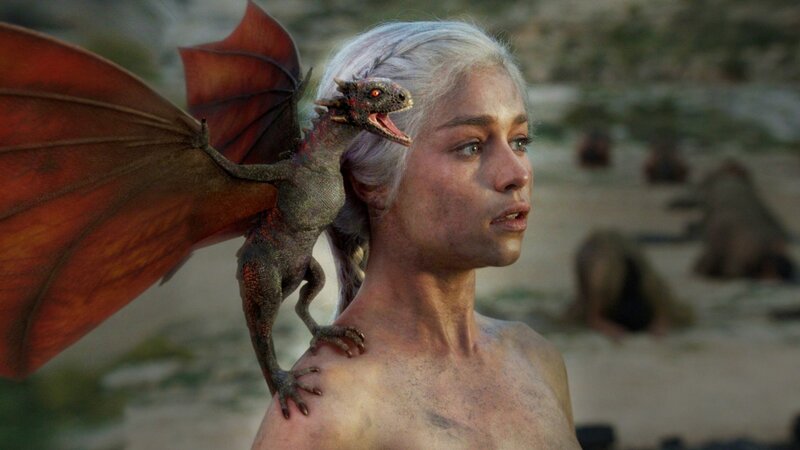 Following Dany’s symbolic rebirth in the season one finale, season two, Dany was merely teaching baby Drogon to breathe fire on command (roasting a slice of meat, go figure). They were the size of average household pets, hardly a plot device yet. As the seasons progressed, the dragons growing larger each time, they represented pivot points for Dany, propelling her journey forward in revolutionary new ways, sometimes literally. 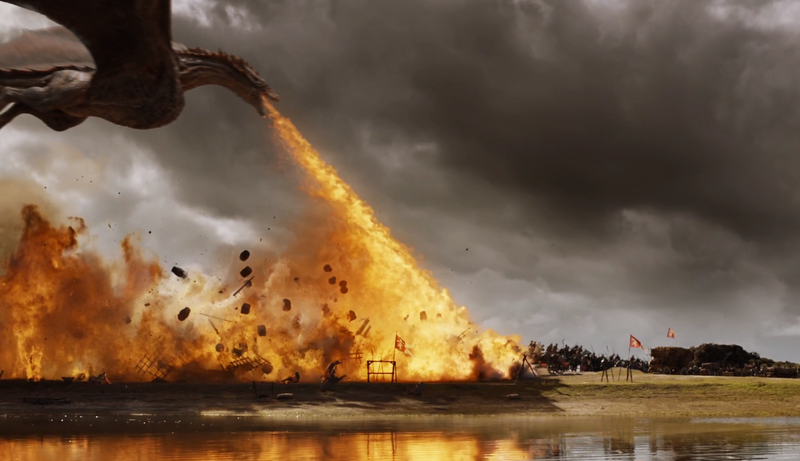 Season three treated us to perhaps the first true dragon spectacle, Dany seizing command of the Unsullied and Drogon setting the masters ablaze. The sequence functioned more as a prelude, the action relatively restrained (the dragon itself was chained), and in season four, Dany made a hard choice to keep her dragons locked away, but not for good. During a pivotal moment in season five, Drogon came to Dany’s rescue, and in season six, Dany took all three of her dragons and ended the siege of Meereen with one bold maneuver. Drogon, Rhaegal, and Viserion are clearly an extension of Dany’s fiery retribution. We learned that dragon-riding is possible (as it is natural for her), thus stirring the anticipations of many who wished she was in Westeros already. Our wishes came true in season seven, but Game of Thrones managed to practice even more restraint. As Dany begins to lose allies, she suggests attacking Euron’s fleet herself. Tyrion, Varys, and Missandei manage to talk her down from the ledge, but at the end of “The Queen’s Justice” and the capture of Highgarden, it becomes abundantly clear that she can no longer be held back (the episode even mentions two battles that happen largely offscreen, continuing to whet fans’ appetites for an epic battle). GoT had been cocking the bow for seven seasons now, and the wait was oh so very worth it. The Loot Train Barbecue Battle was the culmination of everything that’s been teased thus far, not just in terms of action, but drama and character, though it is an epic culmination of how wonderfully cinematic the series has become (check out this breakdown of the many film references imbued in the sequence). Up until now, Dany and the Lannisters have been mere pieces on a chessboard whom have never been pitted against each other. Now, they’ve finally met on the open field. “Only a fool would meet the Dothraki on the open field,” Robert Baratheon once said. GoT loves its dramatic irony. When it comes to battle sequences, the show has comfortably allowed its audience to cheer for one clear side (Attack on The Wall, Hardhome, Battle of the Bastards). Here, we have fan-favorite characters on opposite sides. We want Dany to succeed, but we also want characters like Jaime and Bronn to make it through, characters by their own right who have undergone their own transformations. It’s a tug of war on the audience’s end, even pitting brother against brother. But if there’s one thing the show has proven more than anything, it’s that no one is safe, certainly not from their own fate. Dany’s arc as a Targaryen conqueror is nearing its completion. The Targaryens migrated from the ruins of Old Valyria, crossing the Narrow Sea, conquering Westeros and establishing the Seven Kingdoms as we know it. Dany crossed the Narrow Sea just as her ancestors have done and she is here to set the monarchy ablaze. “I will not be Queen of the Ashes,” Dany had said. We are witnessing the world return to its natural state. Perhaps not even Dany has a choice in the matter. This may be Dany staking her claim, but it’s also Jaime’s worst fears come true as the past has a way of repeating itself. A touch of symmetry. “Burn them all,” the Mad King’s last words. It was Jaime who killed Aerys, thus ending the Targaryen reign. 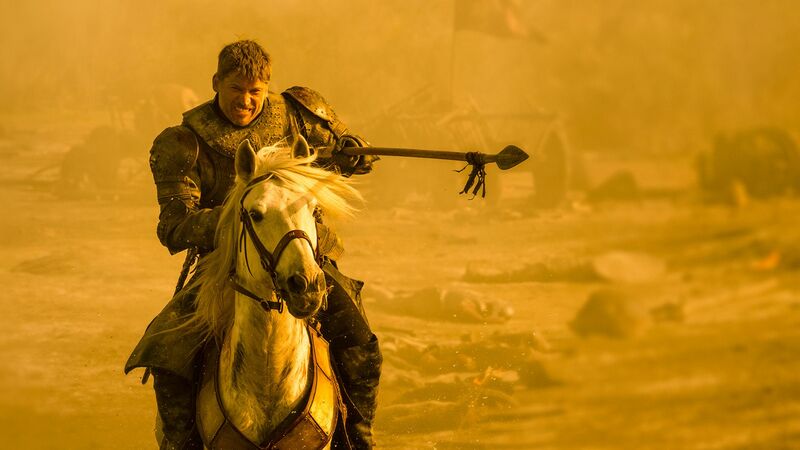 And it has to be Jaime who comes to meet Targaryen fury at full force. GoT loves to do this, place characters formally in positions of power and subject them to powerless scenarios. This has never been truer for Jaime at this crucial juncture (Nikolaj Coster-Waldau transmits this beautifully using only his face). Both Cersei and Dany have used fire to gain power, but we know where the real Mad Queen resides (and, if prophecies are to be believed, Cersei’s trajectory is already written). 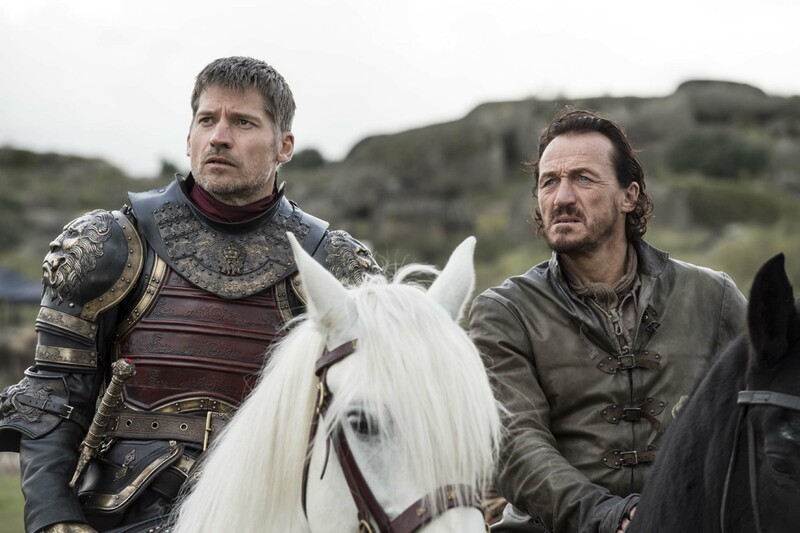 All Jaime can do is watch as history converges on him once more. The events preceding the show’s timeline are interesting in a number of ways. The lush history provides a keen well to draw from in terms of exposition. Perhaps it also provides a blueprint for the story’s endgame. The Targaryens ruled for three centuries prior to Robert usurping the crown. Since then, House Baratheon held the Iron Throne for a brief time before the mantle was passed onto Cersei (Tommen was still believed to be a Baratheon). The fall of House Lannister is still underway (oh it’s coming). Like the doom of House Baratheon paralleled by Dany’s inevitable rise, it’s simply a matter of time.